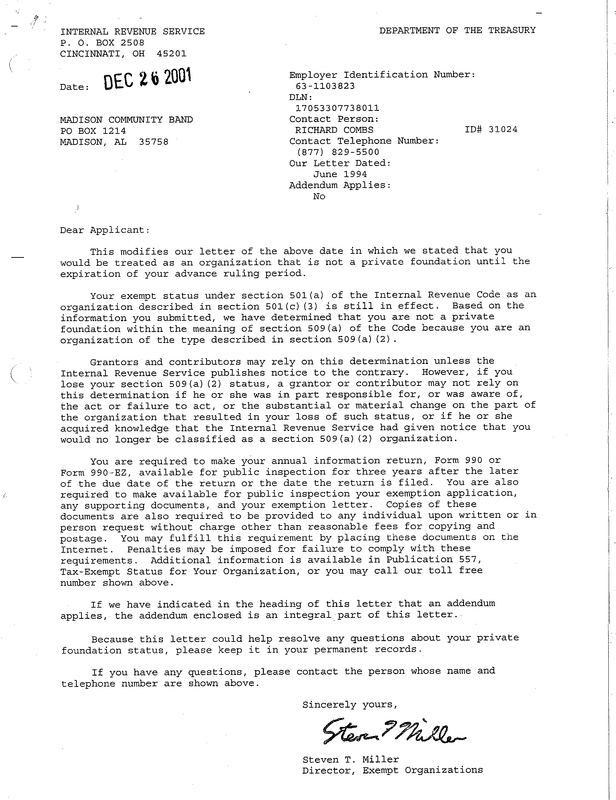 The Madison Community Band, a 501(c)(3) Nonprofit Public Charity, based in North Alabama, follows a long tradition of community bands. An all-volunteer organization, the band is comprised of musicians of all ages and backgrounds. 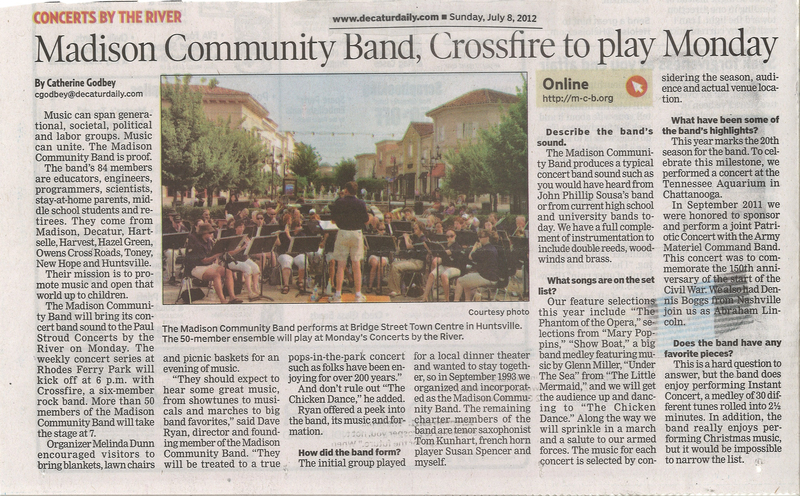 The Madison Community Band performs annually for various events throughout the Tennessee Valley, including Huntsville’s Panoply of the Arts, Madison’s Gazebo Concerts, Decatur’s Concerts by the River, and the Host of Christmas Past Festival in Fayetteville , TN. 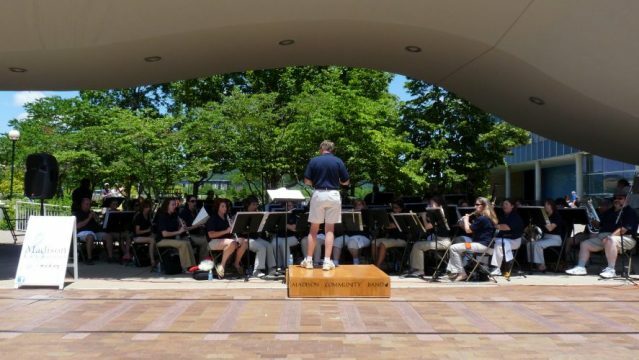 We have also been honored to perform at the US Space and Rocket Center, the Lakeside Summer Concert Series in Guntersville and at Guntersville State Park.